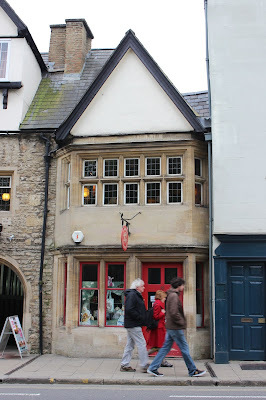 Not unfamiliar with the story of Alice in Wonderland, the history of the story begins in the city of Oxford. 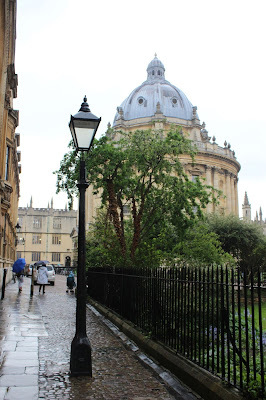 So is the lamppost in the Chronicle of Narnia film, taking the example of one of the streetlights in Oxford; a city whose name is known around the world as a student city. Oxford offers medieval charm with modern touches and the dominance of ivory colored buildings that have been around since the Saxon period. 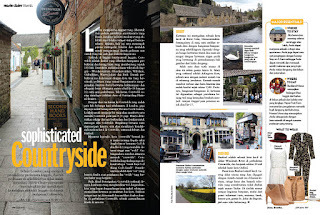 We will pass through the crowded heart of the city filled with shopping centers, cafe restaurants and unique shops, down the small streets behind the old campus building with yellow limestone stone walls decorated with wisteria plants in the summer. Stepping through one of the campus gates, surely we will hear a piece of conversation about philosophy, politics and physics. 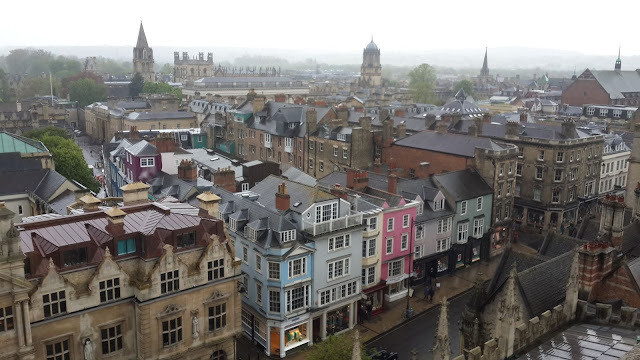 Oxford is in the southeastern region of England and the capital of Oxfordshire province known as the "tower-top city", a term coined by poet Matthew Arnold. From London, Oxford can be reached for 1 hour 40 minutes by bus (about £ 20) or 1 hour by train (£ 23.50). Buy from afar or we will get an expensive price. Simply walk less than 10 minutes from the bus station or train station, we will reach the city center, while taking pictures on every street corner. Oxford is home to 38 campuses from the University of Oxford which is one of the oldest and best universities in the world. For eight centuries many scientists, philippers, writers, archbishops, and politicians graduated from universities that have existed since the 12th century. Stephen Hawking has studied here. The university also publishes many references, academic works, including the Oxford English Dictionary and is the largest university press system in the world. 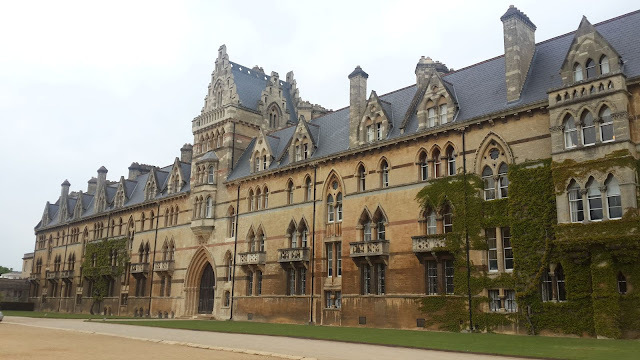 The campus building is not only centered in one place, but spread throughout the city center, some of its oldest campuses are University College (1249), Balliol (1263) and Merton (1264). Joining the free walking tour is a great choice to enjoy every corner of this city while being told about the history behind each campus. Tourists were taken around for 2 hours by University of Oxford students who worked part-time as guides, and delivered in an easy-to-understand language style, occasionally punctuated by jokes, so that it was not boring at all. Gathered in front of the Balliol campus, just after 11pm the tour begins by passing every corner of the city's streets, old buildings and campuses from Oxford University scattered throughout the city. Not all campuses can be visited freely. Some of it can only be seen on the front page only if it happens to be the test season. We stopped in front of the vaulted circular building, The Sheldonian Theater. The building belongs to the university and is often used as a graduation ceremony venue as well as a formal university event. Built between 1664-1669 by Christopher Wren, this building became one of the favorite destinations of the tourists. Visitors can see the beauty of the interior in it if not in use, by paying £ 3.50 or £ 8 if following the guided tour there. In 2011 the building won an award from the Oxford Preservation Trust for the decoration and lighting of the Sheldonian Theater. 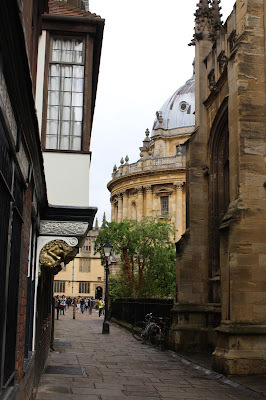 Past the streets beside it, still in the same area, right behind it is a library, the Bodleian Library which is one of Europe's oldest and second oldest libraries in the UK that has existed since 1602. The library has a collection of books and manuscripts over 400 years. 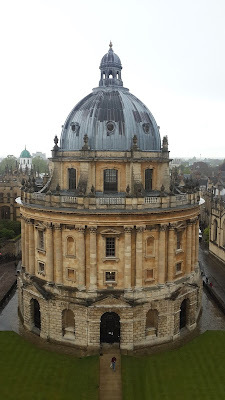 Not far from the library, there is a building that became one of the iconic city of Oxford, a round-shaped dome that was once a library owned by John Radcliffe built between 1738-1748 by architect John Gibbs. It was named Radcliffe Library until 1860 and changed to Radcliffe Camera, when it was taken over by Bodleian until today. Camera itself in Latin means room. Radcliffe Camera is still part of Bodleian's library. One of the tourists' favorite photo location in this city is a bridge that lies on the right side of The Sheldonian Theater. 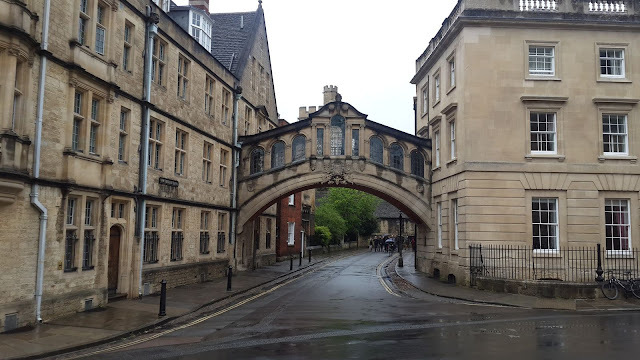 The bridge connects two buildings that cross the New College Lane road between the Hertford College administration office and the student residence from the Hertford campus. His name is Hertford Bridge but is better known as the Bridge of Sighs because of its resemblance to a bridge of the same name in Venice, Italy. This bridge was designed by Sir Thomas Jackson whose construction was completed in 1914. 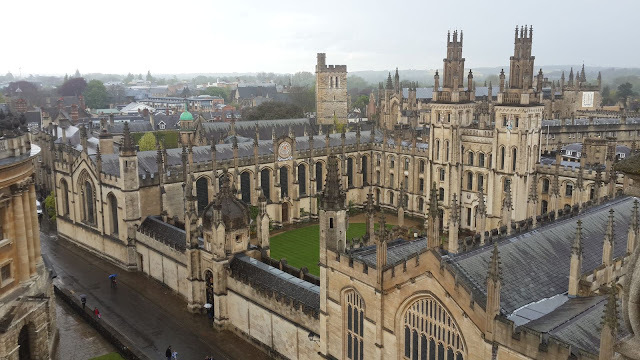 There is a church called University Church of St. Mary the Virgin just behind Radcliffe Square, a place where tourists can see the beauty of Oxford city from above by climbing the spiral staircase to the top of the church tower by paying £ 4. Be extra careful, the stairs are small enough and alternate with visitors who will come down from above. Remember the details of the lion figure on the door and the lamp post in the movie 'Chronicle of Narnia'? Across the little alley of St. Marry's passage beside St Mary the Virgin Church, there is a main door with lion detail in its center which is an inspiration for the writer of C.S Lewis. This door is originally part of the architecture belonging to Brasenose College. A few steps from the door there was also a streetlight that became the streetlight inspiration of the film when Lucy Pevensie met Mr. Tumnus. Still across another lane, Bear Lane, on the corner of the street is the oldest Oxford pub with the name Bear Inn that has existed since 1242. The building that occupies this pub was once a residence converted into a tavern and his name was changed several times. 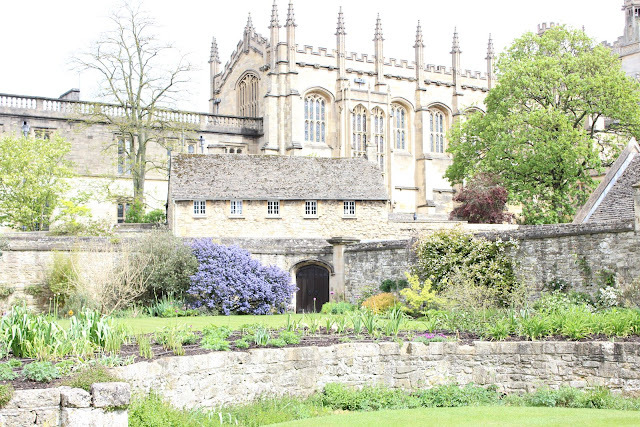 One of the most famous campuses in the city is Christ Church College. The campus has a fairly large yard on several sides to the canal which is a Thames River canal. Some of the rooms on this campus had been the location of filming 'Harry Potter', among them; The stairway; when Harry, Ron, Hermione and others in their 'first year', walk up the huge staircase to Hogwarts to meet Professor McGonagall under the majestic gothic domed roof. In addition The Great Hall, which was changed to Hogwarts Dining Hall, was also The Cloister (convent) when Hermione showed Harry his father's trophy win as a Quidditch hunter. In addition, the author of Alice in Wonderland, Caroll Lewis in 1851 studied mathematics and became a lecturer on this campus when he wrote stories about Alice's Adventures in Wonderland. Alice's main character who became the inspiration was a daughter named Alice Liddell, the son of Henry George Liddell's campus. 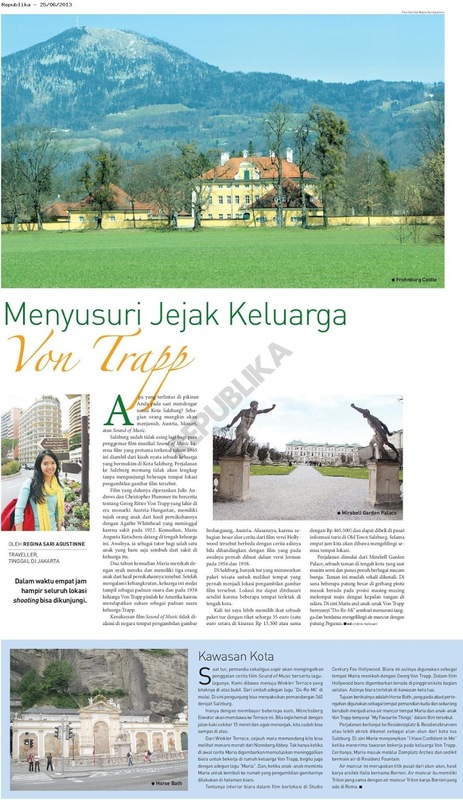 Some of the settings in the story are inspired from several locations in the area of ​​this campus. 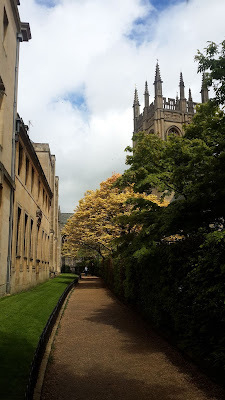 One of them is the Cathedral Garden which has a small wooden door on the stone wall as the boundary between the campus garden and the church park, which is told as a small door behind the curtain to the 'wonderland' in Alice's story. Every year on July 7, the city of Oxford celebrates Alice's Day with various events, such as the Mad Tea party, the Caucus race and many more. 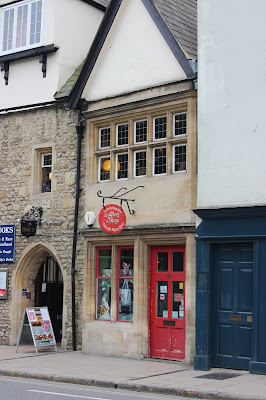 Across the Christ Church Campus, there was a shop with a red door and a number 83 on the door and Alice's Shop. This shop sells souvenirs related to the story of Alice in Wonderland. According to the story, the store is a shop where Alice and her siblings like to buy candy. 1. Using the train from London in less than 1 hour journey. Prices start at £ 23.50 / return and we recommend to book in advanced (www.virgintrainseastcoast.com). 2. Using coach from London Victoria Station with time for approximately 1 hour 40 minutes. Prices starts at £ 20 / return (www.nationalexpress.com). 3. www.oxfordtube.com with a price of £ 20 / return. 4. www.uk.megabus.com with a starting price of £ 10 / return. 1. 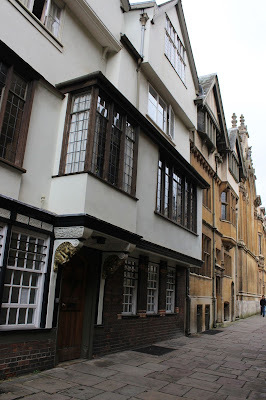 Free Oxford walking tour. 2. Drive around the city by bicycle or join a bicycle tour. 3. Visit the inside room of Christ Church College. 4. 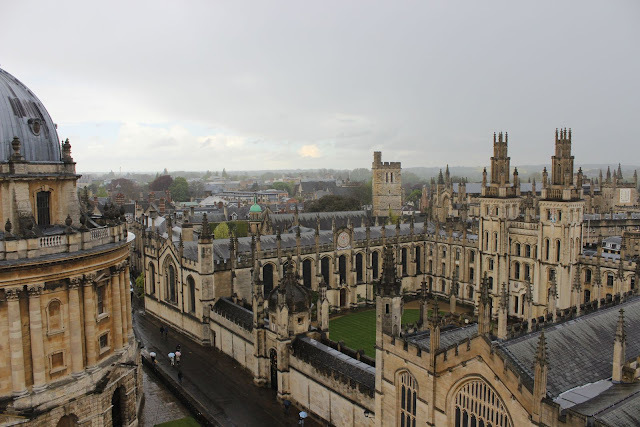 See the city of Oxford from the tower of the University Church of St. Mary the Virgin. 5. Look into the interior of the Bodleain Library and Divinity Hall. 6. Eat at Bella Italia, Jamie Oliver's restaurant on George Street. 7. Sit back and relax in the city park.